I have to admit, at the start of the year I was a little unsure about the 'dark' trend sweeping the interior world but it's growing on me more and more. It creates such as elegant feel, but it's also very homely, like a cosy cocoon! 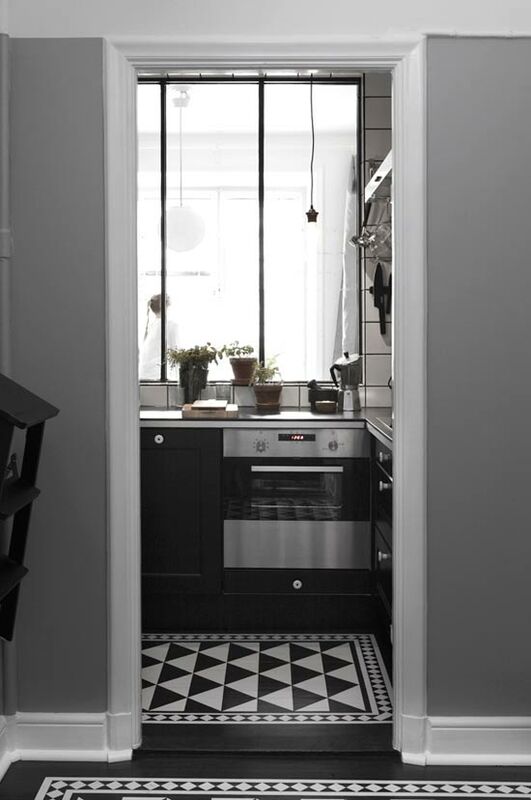 What are your thoughts on the 'dark' interior trend? Would you consider it in your home? Quick round up of items I know and love: Flos 265 light, Gubi mirror, Hay tray tables, leather strap hanger, white linen bedding, dark grey / heather knitted throw. 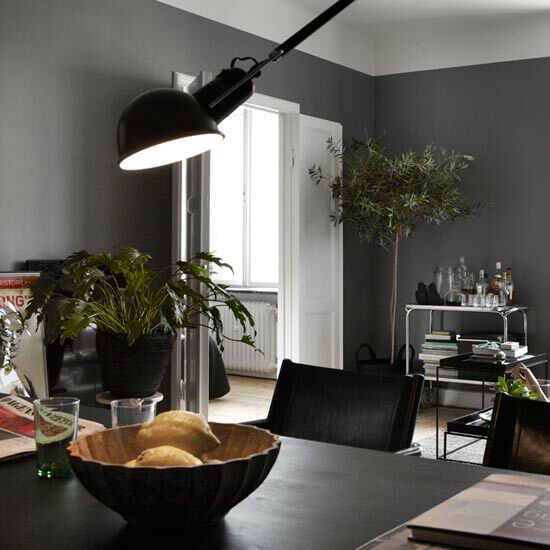 For a similar dark wall colour try Downpipe (thank you for this recommendation in the comment section below) perhaps you have your own recommendations too? If so, we'd all love to know - give us a shout in the comment section below! I'm still all about light and bright. 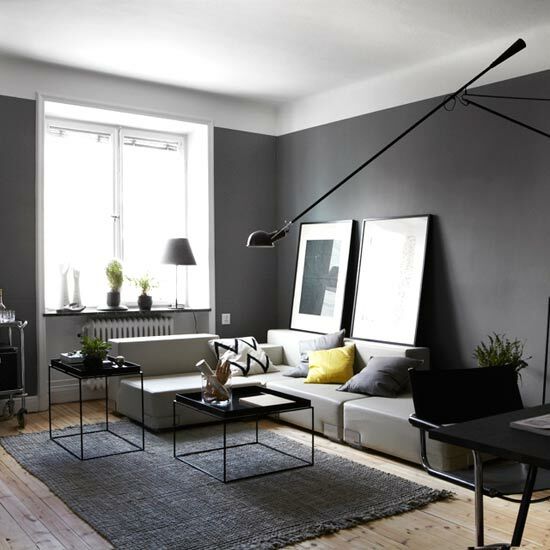 I don't think I would ever paint a wall dark gray. Beautiful home, Thank you for sharing, as always, it is great to enjoy this with my morning coffee in the States. ;). I love dark interiors, I'm so tired of everything white! Having said that, I haven't dared try it myself other than the odd dark wall here and there. Although it looks amazing on photos, I'm afraid it will be too much in my own home. i LOVE this! i love, love, love dark walls. while i so enjoy your blog and all the photos, i could never live in most of the spaces you showcase - faaaaaarrrrrrrr too white for me! 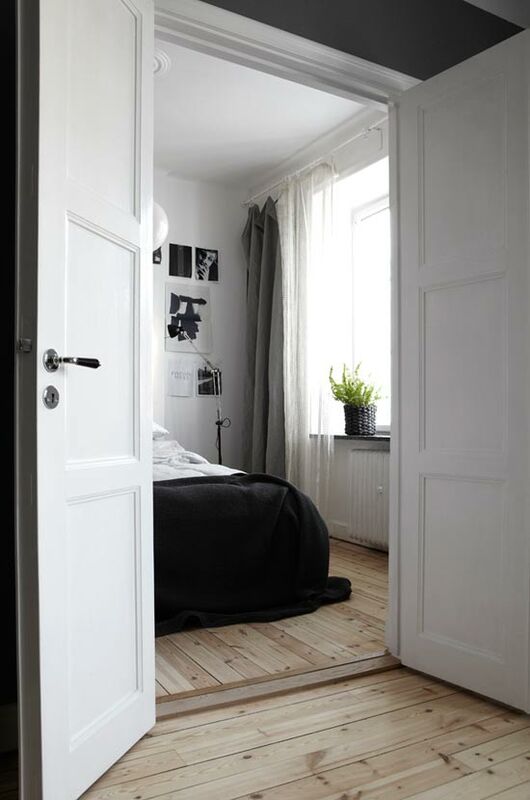 however dark, moody rooms - monochrome or with pops of color - i never tire. grey is my jam. i finally convinced my other half to go DARK in our bedroom. we had a darkish grey, but really not too dark. now we have walls that are *almost" black, but have the subtlest tint of purple. 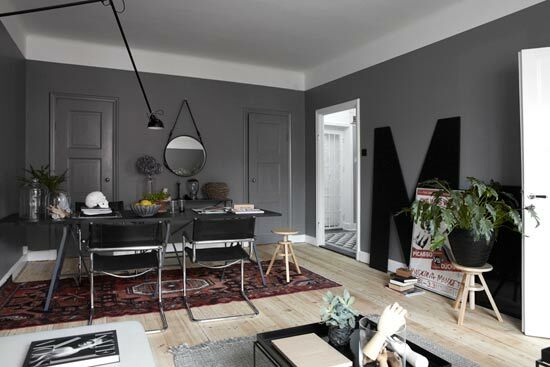 i have light grey walls in my LR, DR & kitchen a medium-dark grey in my bathroom and staircase and a one black chalkboard wall in my kitchen. YES. love the dark! Gorgeous home, love the contrasts in the shades throughout the space. I am leaning towards dark spaces too, not sure which room to try it in first. Please don't anyone imagine that Railings is similar to these walls. It's not at all. Railings is a beautiful colour and I use it a lot ( I'm an interior designer ) but it's nearly black and these walls are far from that. In F&B these walls are perhaps closer to Down Pipe. I don't love this dark tend at all. Especially mid-range greys. They always feel cold to me. 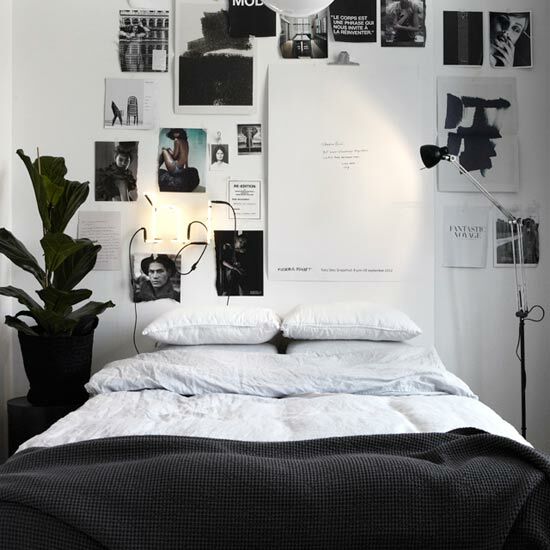 The odd charcoal wall or room I can deal with if it is accentuated with some beautiful art or light furniture, or color-popping wallpaper bit. But not this. I will hunker down in my little white cocoon and be content. 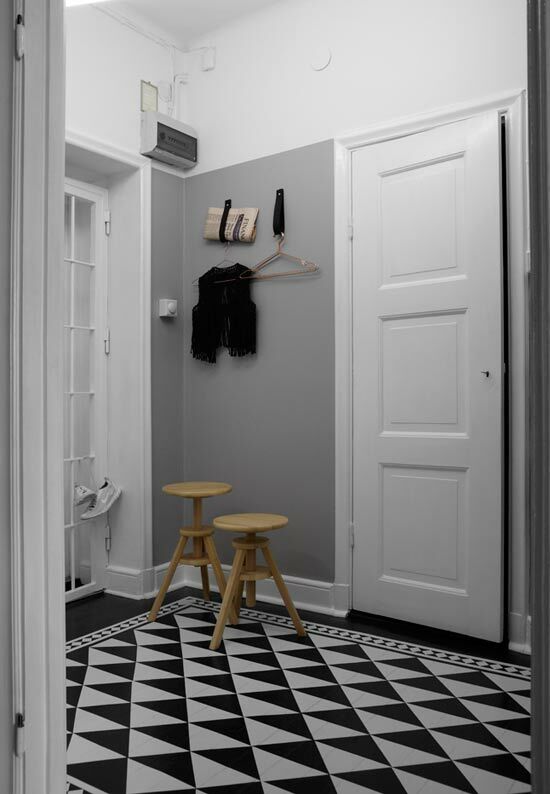 Btw, love the flooring in the kitchen and hallway.